Ahead of supporting Slayer on their 2019 farewell tour later this year, Amon Amarth have now revealed that they'll be bringing a new full-length album along with them. Titled Berserker, the band's 11th studio effort will arrive May 3 through Metal Blade/Sony Music. Twelve tracks in length, the album was recorded with Jay Ruston in Los Angeles. 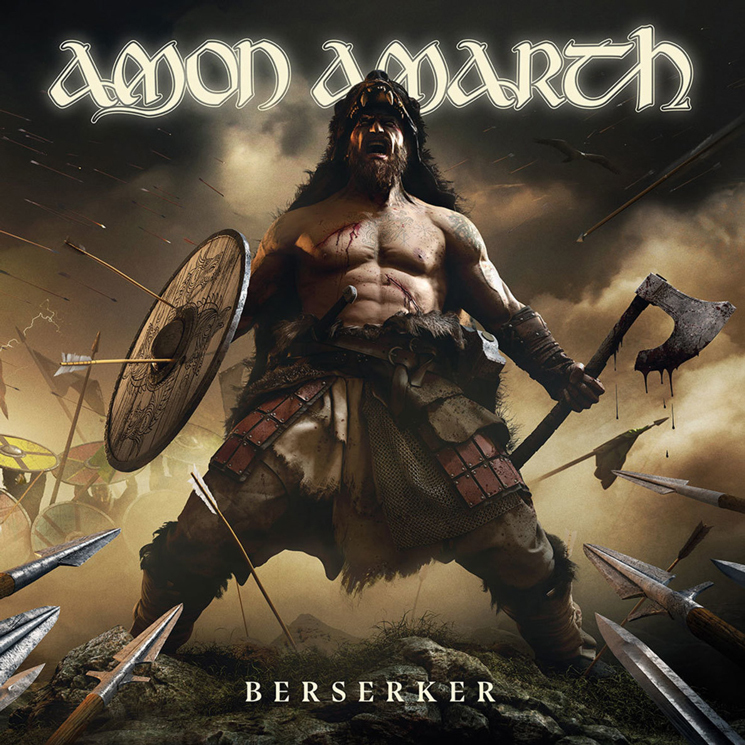 "For me, this is Amon Amarth 2.0," vocalist Johan Hegg said of Berserker in a statement. "I think what we've done here is give ourselves the space to explore other parts of our musicality and who we are as a band. If you're content with where you're at, what's the point of continuing? We always want to come up with new ideas and find new ways of doing things and to create bigger and better shows and really try to improve every aspect of what the band is." Alongside the announcement, the band have shared new song "Raven's Flight," which comes accompanied by a video. The Roboshobo-directed clip stars MMA fighter Josh Barnett and wrestler Erick Rowan, and can be seen below. Berserker follows the band's 2016 full-length Jomsviking.